Codec interoperability is now possible with Digigram’s innovative IQOYA *CLOUD codec-management Software as a Service (SaaS). 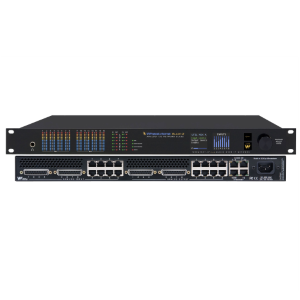 This new tool enables valuable, worldwide discovery and access security with a broad array of IP audio codecs from different manufacturers. This solution gives broadcasters access to a robust broadcast SIP infrastructure while facilitating centralized codec management anywhere from any authorized device. A SIP infrastructure? What for? 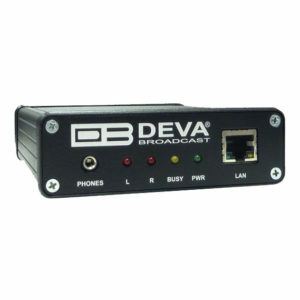 Interoperability allows broadcasters to diversify their codec fleet and to invite correspondents using their own IP codec gear, including simple SIP phones. 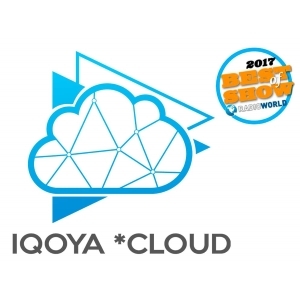 Key Workflow: With IQOYA *CLOUD, broadcasters can guarantee the continuing reliability and quality of media streams and all content contribution links. 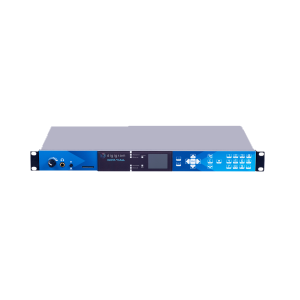 IQOYA *CLOUD is the new innovative IP audio codec management system from Digigram. Relying on Digigram’s strongly secure SIP Broadcast Infrastructure, this application provides efficient real-time monitoring and control of all registered broadcast Audio-over-IP codecs across the network. With this centralized cloud-enabled administrative tool, users can monitor and control codecs, deploy, configure, and reconfigure codecs on the fly, and take action in the event of network faults and fail overs to ensure the availability of continuing high broadcast quality. IQOYA *CLOUD web responsive design and simplified GUI architecture enables easy access through most web browsers and smart devices. It is particularly suited for mobile platforms (Android and iOS), giving a clear and simple overview of Master Control Room (MCR) activity with configuration on the go from any location and at any time. Quick, centralized management system â€“ with access to a comprehensive network address book and audio encoding profiles. Straightforward call management to accept and initiate calls. Digigram IQOYA *CLOUD relies on proven Digigram SIP infrastructure to gather information and live streaming transmission status from all codecs registered on the customerâ€™s network. Digigram codecs continually exchangeÂ a range of data including presence information, activity status, and on-going link quality. This information is permanentlyÂ evaluated by IQOYA *CLOUD. With that information, users can easily monitor transmission quality, accept and place remote calls or take any appropriate action, if required. The data Â is also shared among all Digigram codecs and available on the codecâ€™s front panel and web page. With IQOYA *CLOUD, users can directly access every local codec configuration page that is registered as part of the local network. In a Master Control Room (MCR) application, the graphic interface provides a clear display of all monitored codecs. Operators can easily configure display setting preferences, and warnings and alarms are also clearly displayed. Event histories are stored for up to 2 weeks. Available as a Service (IQOYA *CLOUD SaaS) or hosted in client premises as a hardware appliance or Virtual Machine instance (IQOYA *CLOUD Enterprise). Deployed with Digigram SIP. On all versions, this infrastructure includes a SIP proxy and SIP database. It also includes a media relay server and an Oracle(r) Session Border Controller for a secure integration within the client’s IT infrastructure.